We own and operate a 100 watt CO2 laser with a 1300 mm x 900 mm bed. This machine will cut up to 6.5 mm ply and 10 mm Balsawood amongst other materials. We can accept .dxf files if you have your own files or we can create the files for you at a reasonable cost. 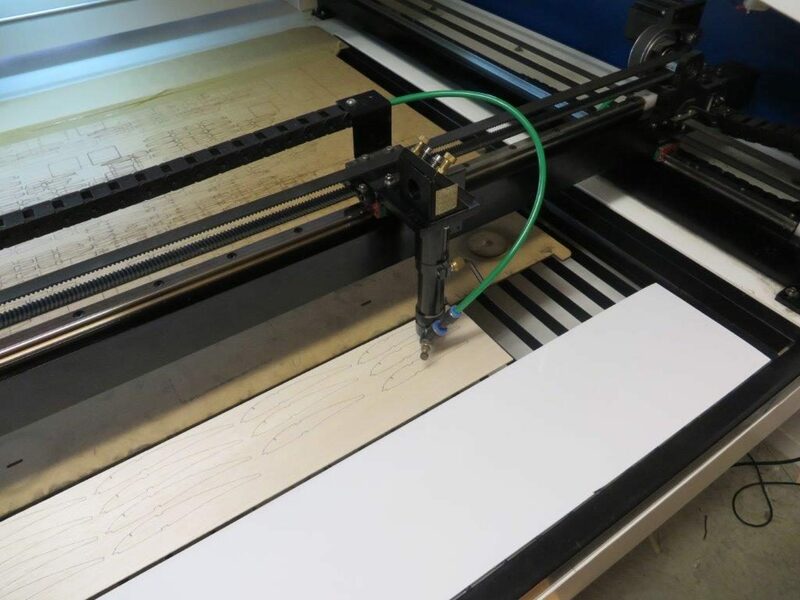 We can undertake a variety of work from cutting gusseting for full sized aircraft ribs , laser engraving, leather for fashion-ware, model kit manufacture, fine paint stenciling and many other varied processes. Laser Cutting Notes and Disclaimer. Accuracy of the Plan scan – When large paper plans are put through roll scanners, there is the possibility of some distortion during the scan, sometimes you see this on the fold lines or edges of plans. Printer drivers – we have seen a variation in physical print sizes of .pdf plans. We endeavour to circumvent this by having a physical plan available while we trace the plan into AutoCAD, this allows us to check the parts against the original drawing. Parts Numbering - We do not generally add the part numbers to the items as this does increase the cutting cost appreciably. 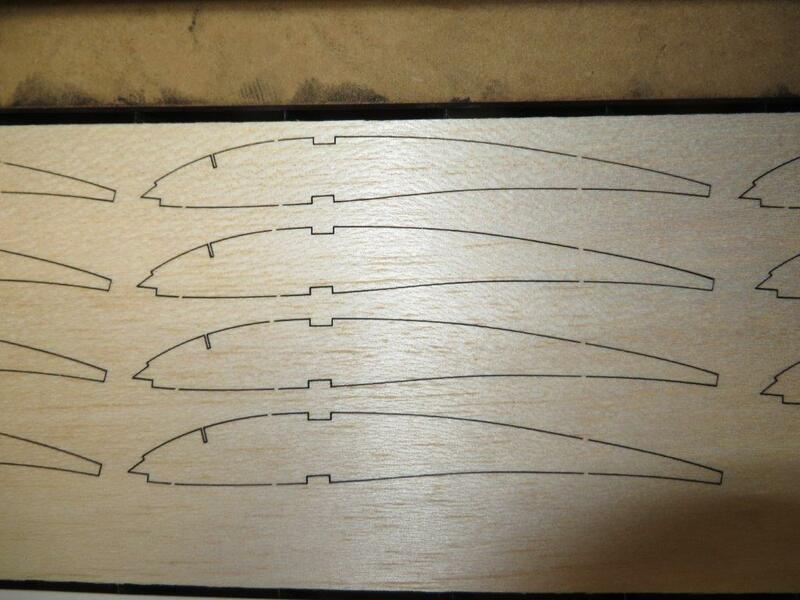 We suggest that you use the marking sheets provided with the kit and number the parts before removing them from the balsa. Parts Removal – we suggest that you use a hobby knife to break the tabs holding the items into the parent material particularly on small or thin parts. Cut Thicknesses – typically these are about 0.25 mm in width but on the thicker woods they can be as much as 0.75 – 1.0 mm wide. This is due to the crossover of the focal length of the beam. We try and concentrate the crossover in the centre of the wood where possible. Errors - We endeavour to make our kits as complete as we can, however we don’t build every kit we make so there will be a slight possibility that there are errors in the kit. If you find any issue with missing parts, the fit or accuracy, please email us at aveteknz@gmail.com so we can fix the issues and not repeat them.